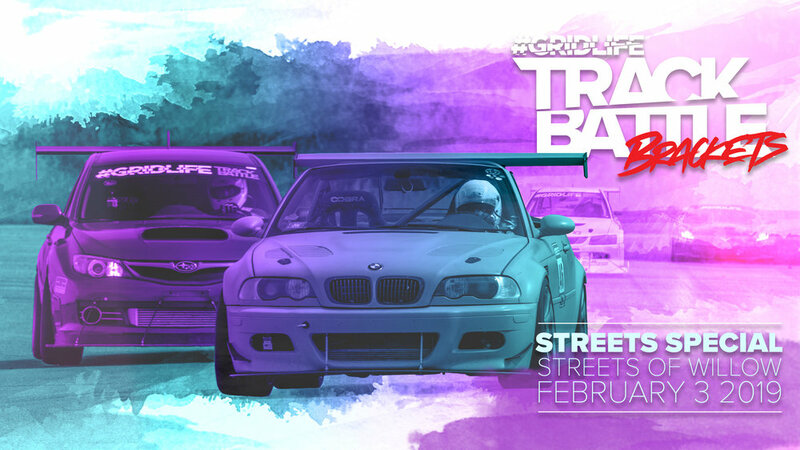 #GRIDLIFE comes to the West Coast for the first time with a one day exhibition of our TrackBattle Time Attack brackets on the counter clockwise configuration at Streets of Willow. This is a limited entry event with a half day of open qualifying followed by a top 6 per class shootout. We will be running all TrackBattle classes: Street / Street GT / StreetMod / TrackMod / Unlimited. We will be bringing out the full media team for this event as well so expect comprehensive coverage of our first exhibition event on the West Coast. In addition, we will have two very limited HPDE run groups for Intermediate and Advanced drivers only. Drivers spots for all groups are extremely limited.